Only one more day until Christmas! I'm getting ready by doing some baking and making some tasty things to share with neighbors and friends. I made white chocolate cranberry cookies from Sally's Baking Addiction. Wow! What an amazing blog! So many delicious looking deserts and all beautifully photographed! I will definitely have to try some of the other recipes on Sally's blog. I normally don't like white chocolate, but these cookies are fantastic! The sweet of the chocolate and the tart of the cranberries are perfect together. The texture of the cookie is just right, too. Slightly crisp on the outside and soft on the inside. If you would like to make these cookies, go here for the recipe. I live the combination of white chocolate and cranberry, especially in a cookie! Thanks for sharing at Marvelous Mondays! Here from a Pinch of Joy link party - and oh my these look SUPER delicious! What a great flavor combination! Will have to add these to my last-minute-bake-off today! Oh yum - they do look good - and very festive too! I stayed at a hotel recently and they had fresh baked white chocolate & cranberry cookies...and I FORGOT to ask for the recipe! I am SO glad you shared it with the I Gotta Try That Linky Party! I hope the this recipe is the same or similar to the cookies you had at the hotel. This look so scrumptious and I'm featuring them today :) Thanks so much for sharing at Mix it up Monday! Thanks for featuring my my cookies! Happy New Year! I am excited to try these cookies, they look and sound delicious. I am a new follower and would love for you to visit me at memoriesbythemile.com and follow me back. These are a favorite of mine. Thanks for linking up! Love these 2 flavors combined! I love white chocolate, I love the added cranberry! Thankfully, I am not doing carbs or I would be making and scarfing these! Beautiful cookies -- and they sound as delicious as they look! Thanks so much for sharing on Busy Monday! Oh, I love white chocolate and cranberries. This is the perfect cookie. YUM! Thank you so much for sharing at A Bouquet of Talent! Mmmm your cookies look wonderful! I love white chocolate and cranberries together, and these cookies look and sound so good! Nothing like a good cookie :o) Happy New Year! Those look amazing! I've tried a few recipes like this one and haven't found the right one yet...looks like yours may be it! If you're interested, I have a link party on Mondays for "table" related posts, including recipes. I'd love to invite you to share these delicious cookies. Oh, I love Sally's blog too! 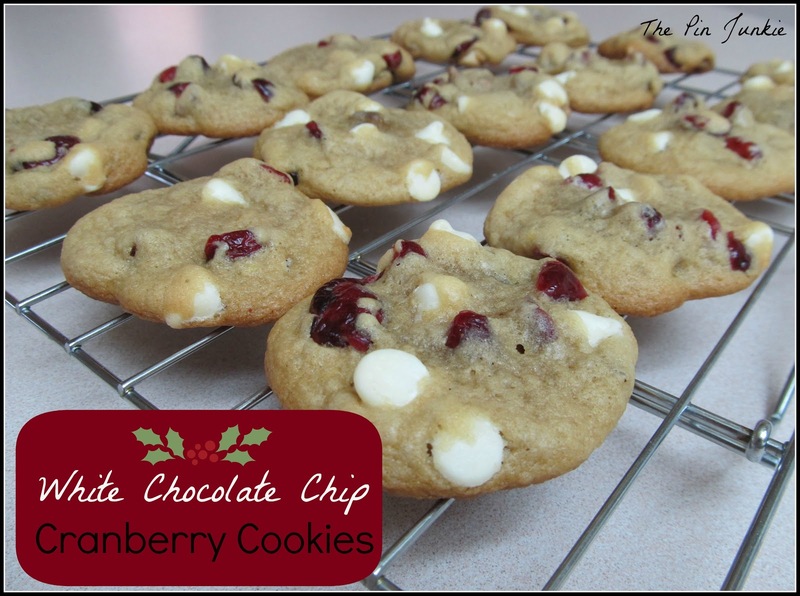 She has the best cookie recipes:-) These look great with all those white chips and cranberries!!! Love white chocolate in biscuits. These looks simple and delicious! Oh, I have made these cookies before and they are delicious! It's been a few years since I did. I think I need to make them again. YUM! Thanks for sharing with Share Your Cup. Oh yum! Totally pinning this! Thanks so much for featuring my cookies! These look so delicious!! Thanks so much for linking to Share It Saturday. I hope you'll make it back again. These look and sound delicious! I'm not sure I have the patience to chill them though. LOL! These look & sound amazing. Sorry I'm late over to visit this post. Thanks for sharing the recipe. I hope you join in the link up @ DearCreatives again soon! 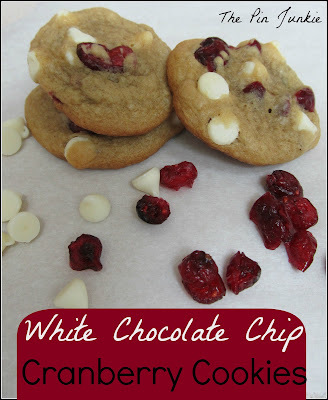 I loooooooove white chocolate and I think it's a great combination with cranberries.